I’ve been back several days from CES 2018, the Consumer Electronic Show, and I’m so happy to discover so many innovative new coding toys for kids this year that are giving new meaning to “best coding toys for kids.” Wow, how far we’ve come! In years past, some coding toys seemed too complex, too boring, too expensive. But this year gives me hope that we’re coming a long way in terms of getting kids excited about STEM skills and coding basics, and giving them plenty of options to find the one that best appeals to them. Here, just a few favorites. 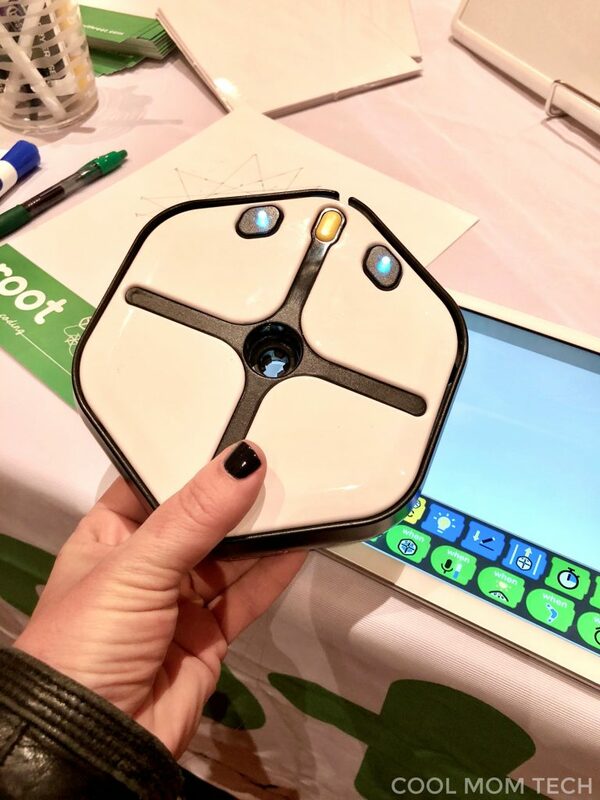 Co-founded by dad Zee Dubrovsky who is palpably excited about getting his own kids coding, Root seems like a very cool new entry into the coding toys for kids category. 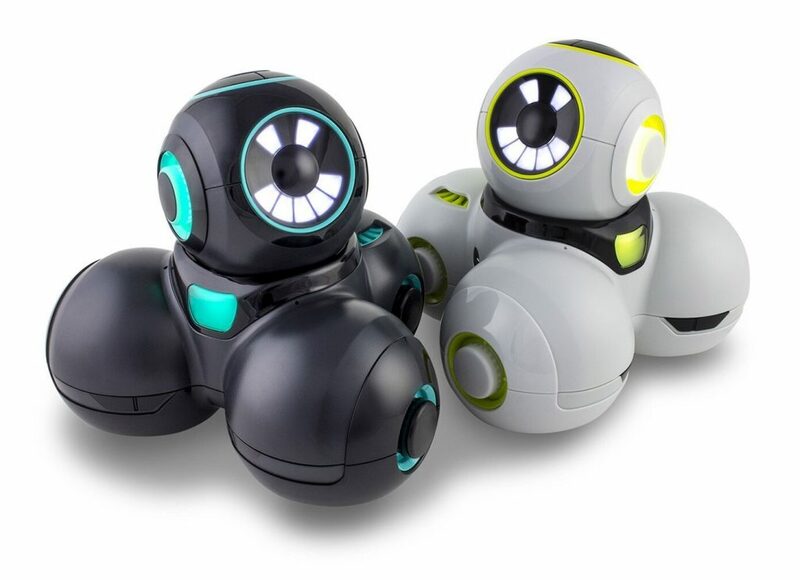 In some ways to me it’s a bit like a cross between Ozobot and Wonder Workshop’s Dot and Dash in terms of its function and usability — it’s a friendly looking little robot that’s made to grow with your kids. They’ll love all the things they can make it do — it can hold a pen to draw Spirograph-esque patterns or drawings; draw and erase on whiteboards, even up a vertical surface; “speak” music you compose; react to touch, sound, light, obstacles and more. After a hugely successful Kickstarter, it’s ready for pre-order at $199, with an estimated June, 2018 ship date. While Pai Technology has quite a few interesting educational tech toys for kids of all ages, Augie seems to be the big coding toy win this year. The company is all about learning through augmented reality play that combines screentime with hands on learning, and Augie delivers. 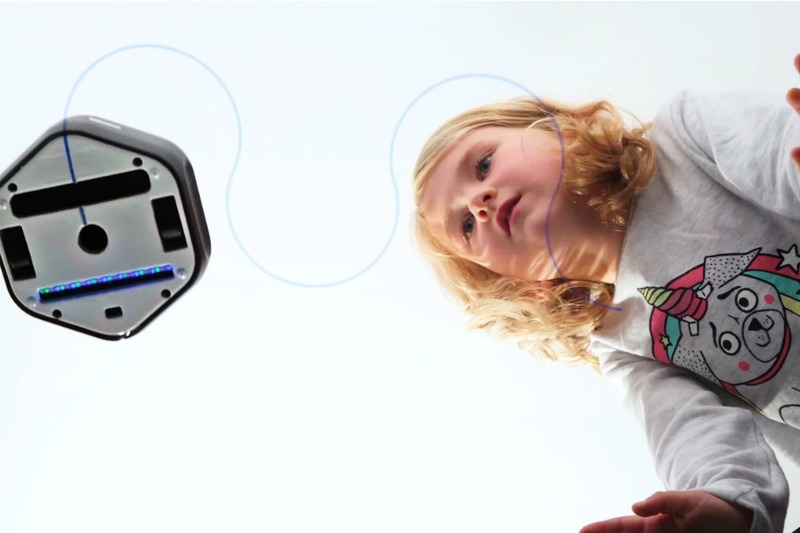 Kids learn to code this friendly little robot using over 100 commands to control how it moves, looks and sounds. But what’s really different about it is that the 3D app puts Augie into an AR world to teach basics like sequencing, loops, events and variables. In other words, you can program adventures, mazes, or mission-based games for Augie, then look at the app as he seems to move through virtual worlds with your commands — not just the world of your living room floor. I know my kids would love that. Plus, the look is just so viscerally likeable and personable. 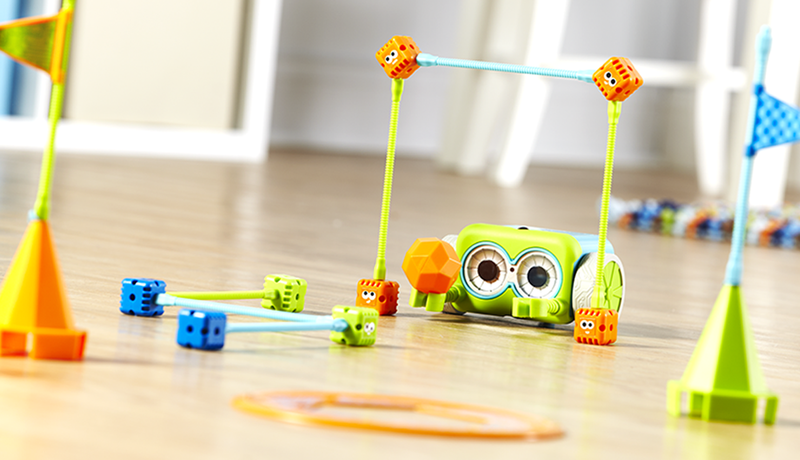 I can’t rave enough about Wonder Workshop, and their new Cue robot released late last year, and which we named among our picks for the hottest tech gifts of 2017. It’s so good to see something so cute and friendly and fun that still appeals to tweens and teens from this company that is equally committed to public education and to encourage coding literacy for more kids around the country. 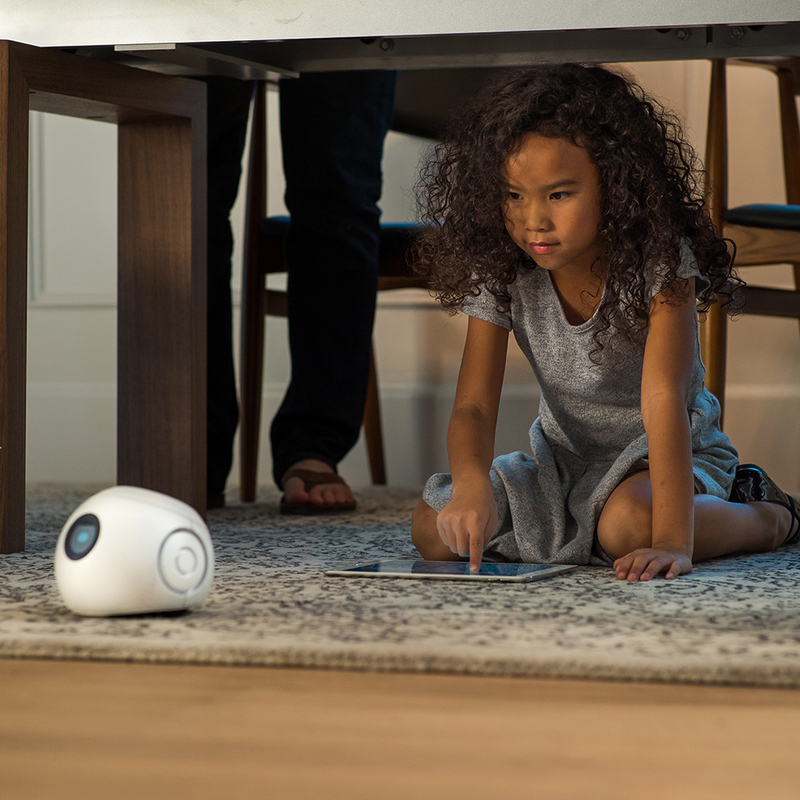 In fact I love Cue so much, I bought one for my 10-year-old daughter for Christmas, since she’s still in love with the Dash robot she’s had for several years now. 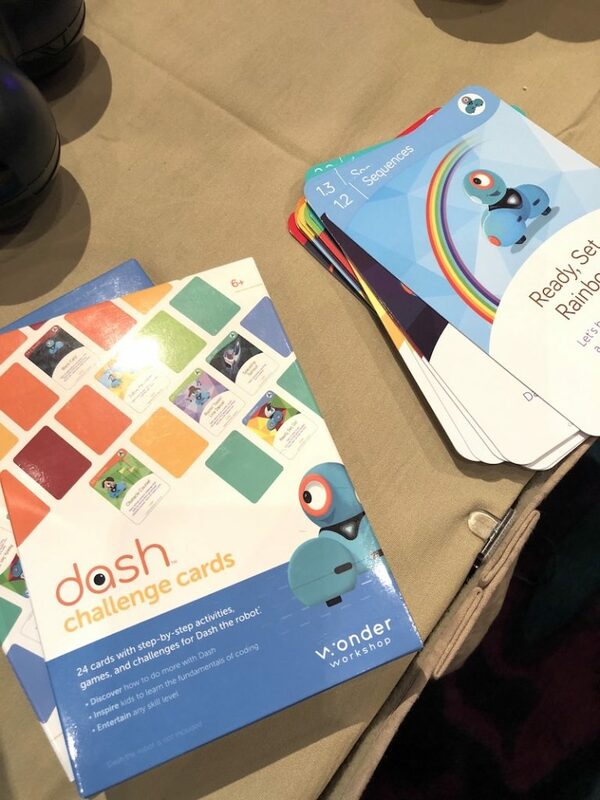 Keep an eye out for the new expansion pack coding cards from Wonder Workshop that they had on display at CES 2018. They’re sure to help your kids get even more out of Dash — not that they’ll ever run out of creative things and coding projects to do with him. But hey, prompts always help! Cue normally retails for $199, but I just found it for $151 at our affiliate Amazon. Makeblock makes quite a few very cool STEM toys that combining building and coding, like their mBot beginner’s robot kit, and the AI-powered Codey Rocky robot. But their Makeblock Neuron programmable building platform got a lot of the attention as a hot coding toy for kids at CES 2018. If your kids are headed for the First LEGO League, this is the one you’ll want to check out. It gives kids about 6+ the ability to snap together blocks with about 30 different total functions (light, sound, LED panel, motor, and so on) to create all kinds of gadgets that actually work. What’s cooler is that the blocks can employ Microsoft Cognitive Services and iOT connections, so kids can get amazingly creative. At their booth, I saw examples of a programmable pet feeder, a virtual gardening set with voice and face recognition (! ), and just crazy, imaginative robots built with LEGO bricks, which are compatible. I really like that Makeblock Neuron projects can be built entirely offline, or you can use the Scratch-based companion app. Best of all, the kits start at just $39. But you’ll more likely want the $119 Makeblock Neuron Inventor Kit, definitely be buying lots of add-ons if your kids are into this one. 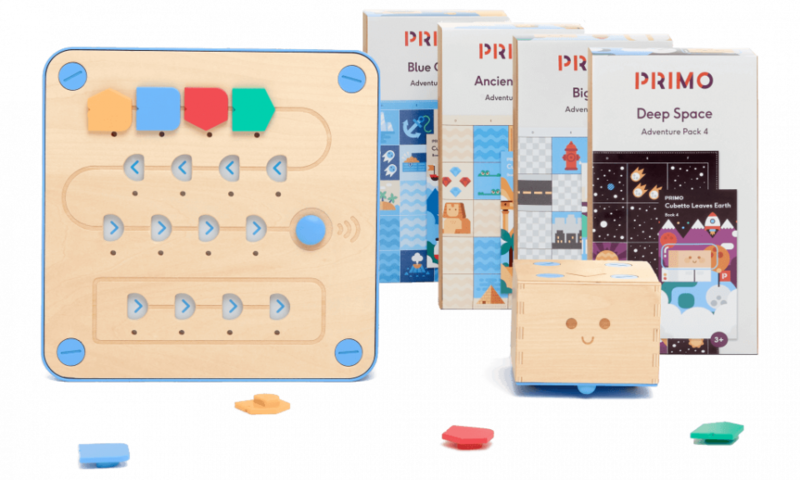 We first shared the Cubetto coding toy from Primo Toys back when it launched just over a year ago and it’s still a favorite STEM learning toy recommendation of ours, for kids as young as 3. We love that this programming system works entirely screen-free, it runs on batteries (yay for no plugs!) and that the wooden robot has more of the feeling of a Waldorf toy than a high-tech robot, to teach coding basics through storytelling and hands-on play. There’s something kind of lovely about that. There’s a simplicity to its tactile coding language, which involves adding colorful blocks to the board and seeing how each change impacts its movement. 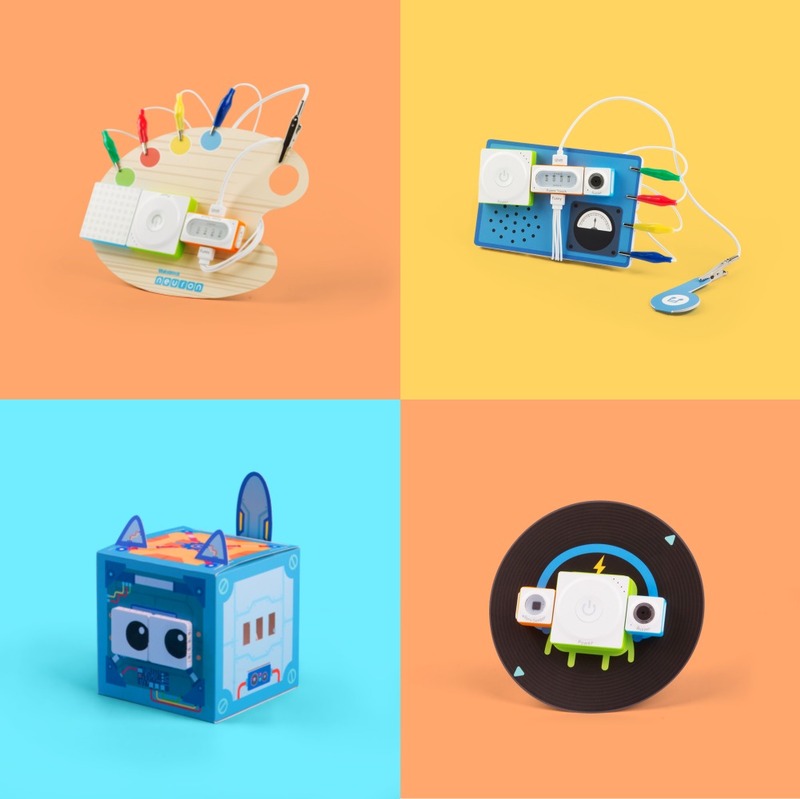 Cubetto has now introduced a Deluxe playset to help you get more out of the coding toy for kids, including 5 world maps and 5 educational storybooks. At $295 it’s definitely spendy (the original is $225) or you can order some adventure packs ($29 from our affiliate Amazon) to add to your existing Cubetto and add new coding challenges. They include both a storybook and coordinating map around themes like Ancient Egypt, Blue Ocean, Big City, and my favorite, Big Space. There are also new Cubetto Logic Packs for $39 which will definitely help growing kids get more out of the Cubetto coding toy, longer. And that’s a good thing. For preschool parents looking for something a little more Fisher-Price than Montessori, educational toy company Learning Resources is out with Botley, which promises to get young kids right out of the box. And what a box! It comes with 77 pieces including coding cards, interactive obstacles to put down in front of your Botley, and more. But what’s of most interest: While it is a robot like some of the others here, asw ith Cubetto it’s an entirely screen-free experience. You just use the colorful little remote control to transmit commands, like tackling an obstacle course, looping, or following a black line along the floor. That has its own pros and cons. Pros: less screentime for parents who want to keep it to a minimum or aren’t yet ready to hand their spendy tablet over to a young child. Cons: it really makes this an incredibly introductory kind of a robot, since real coding does require actually using…code. While the company states it’s for kids 5+ and grows with your child, I would say based on the look and design, you could work with your preschoolers on this (provided they don’t put the pieces in their mouth!) — and that kids will probably outgrow it by about 7. But for just $79.99, it’s definitely more affordable than a lot of the other coding toys for kids at CES and a decent value from a reputable company. I’m looking for a coding/robotics birthday gift for my bright 4-year-old grandson who is fascinated by robots and has a fairly long attention span. He’s just learning to read, but can memorize anything and loves everything mechanical. Would Botley be my best bet? Or will he be bored too soon? Both Botley and Cubetto have lots of open ended options. I personally like Cubetto because they’re given stories that they have to code the robot to complete. It’s fun!